Find your Sticky Notes inside the OneNote app. 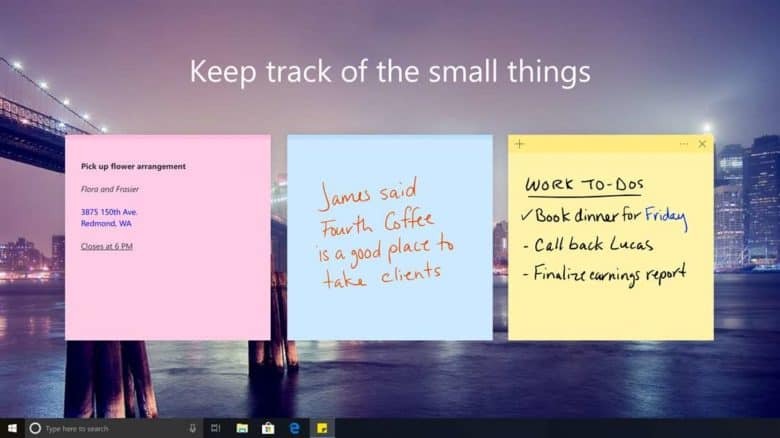 Microsoft is bringing Sticky Notes to your iPhone and iPad. You will be able to use them inside OneNote to quickly jot down notes and reminders on the go, and you’ll be able to sync notes from Windows to iOS. Sticky Notes is a feature that gets a lot of stick from those who never use it. Who really wants digital Post-Its that you can pin to your desktop, right? Well, as it turns out, quite a lot of people find them incredibly useful. So much so that Microsoft is finally bringing them to mobile. The feature was spilled inside OneNote for Android, which suddenly started displaying users’ Sticky Notes under a new “Memo” tab. Microsoft’s Laura Butler later confirmed on Twitter that an official update is on its way. Sticky Notes are ideal when you need to jot down snippets of information. They’re simple and easy to use, and quickly accessible. You don’t have to load up a notes app or anything else to use them. Having them on mobile is great for those who frequently use Sticky Notes on desktop. And you can be sure Microsoft wouldn’t be porting them over if they weren’t popular among a significant number of Windows users.